Glaucoma is a hereditary elevation of eye pressure seen in 4% of whites, 6% of Asians, and 10% of African Americans over the age of 60. This elevated pressure damages the optic nerve to the brain, first losing side vision. This disease typically has no symptoms until one goes blind. 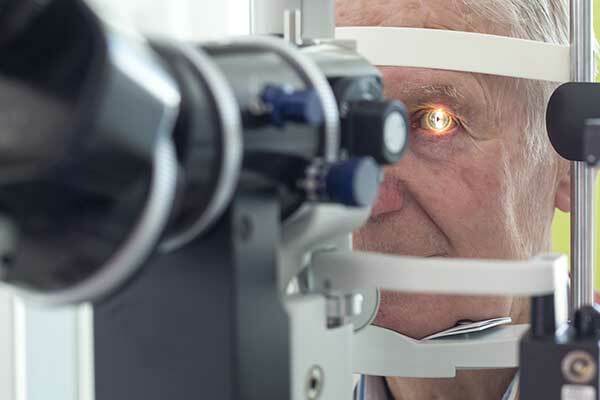 While prescription drops in the past have been most commonly used to decrease eye pressure, it has been frustrating to both patients and doctors alike that glaucoma is still one of the leading causes of blindness. The three leading explanations for ineffective results are: cost, unpleasant side effects and inconsistent use of the drops. Glaucoma is a lifelong disease, and spending $100 to $300 a month for eye drops over decades grows to be a significant financial burden. Most of the drops cause redness and ocular irritation. Studies show that many patients fail to routinely take their medications or keep needed routine appointments to monitor for worsening of their glaucoma. It is for these reasons that many doctors now emphasize surgical treatments over drops as a better means of preventing blindness from glaucoma. OCT (optical coherence tomography) measures the thickness of the retinal nerve fiber layer in the eye to determine if it is thinner than normal. This test provides the best chance of early detection of glaucoma first, but not every office has this newer technology available. If nerve damage is present, the OCT can also monitor for worsening of your glaucoma during future visits to our office. ONP (optic nerve photography) is a picture of the optic nerve used to assess nerve damage. Retaking the photos over time monitors for changes in the appearance of the optic nerve that occurs with progressive glaucoma damage. Visual Field is the only one of these tests that determines whether vision damage has actually occurred from glaucoma. Vision damage usually starts in one’s side vision, otherwise known as peripheral vision. If there is any vision damage present, it will show up on this test long before a patient will notice any abnormality. We can also use the visual field test to monitor for any increase in damage caused by glaucoma. Gonioscopy is a technique used to determine if the drainage system on the inside of the eye is too narrow. It is a simple, painless test performed during an eye exam. If the drain is too narrow, it can cause a sudden attack of narrow angle glaucoma that can lead to blindness in hours. This accounts for only a small percentage of patients with glaucoma. Symptoms include pain, blurriness of vision, and nausea. It is very important to seek medical attention immediately. This is an ultrasonic measurement of how thick your cornea (the front clear part of the eye) is. Low thickness can be a risk factor for glaucoma damage. Once all of the testing is complete, your doctor will meet with you to review the results of the tests. If it is determined that you do have glaucoma, treatment will be initiated. MIGS (Minimally Invasive Glaucoma Surgery) has been developed in recent years to reduce or eliminate both the side effects of eye drops, and the complications of standard glaucoma surgeries. Dr. Miller was one of the first 10 surgeons in the United States to implant the CyPass device. CyPass is a tiny plastic tube that drains fluid internally in the eye to lower eye pressure. Although a promising new treatment for glaucoma, FDA guidelines limit all MIGS procedures to be done only in conjunction with cataract surgery. MLT (micropulse) is a five-minute laser procedure that is performed in the office. 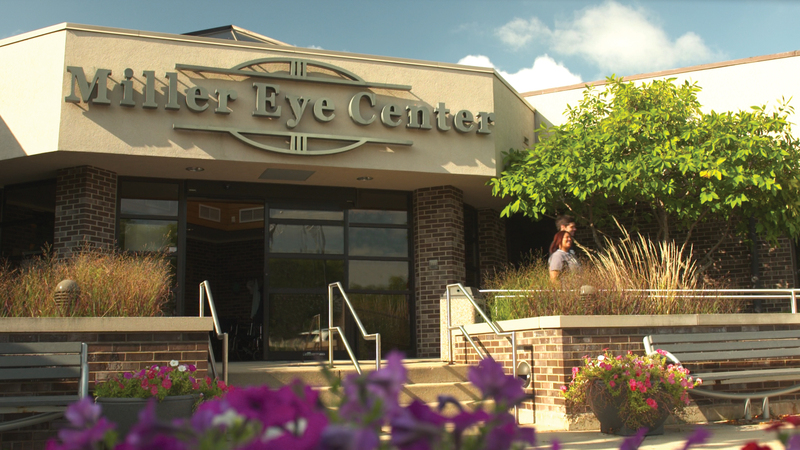 The MLT laser is a new, gentle laser only available at Miller Eye Center in Rockford. Treatments may be done with this laser to achieve a high success rate of lowering eye pressure. On average, the laser treatment will control the pressure for five to 10 years. Most insurance plans cover this procedure. Tube Shunts for glaucoma patients that have had trabeculectomy surgery that has failed, a tube shunt can be placed to drain fluid outside the eye. Our Dr. Ozkok specializes in these types of surgery. Cyclo G6 laser also uses the micropulse laser method to treat the sclera tissue behind the iris. This too is non-invasive and only takes a few minutes. ECP (endocyclophotocoagulation) is a surgical procedure done at the hospital to lower eye pressure by decreasing the production of fluid. A laser is used during this procedure as well, but it is done inside the eye in the operating room. Trabeculectomy is a glaucoma surgery that is usually done on patients with advanced glaucoma when none of the other therapies have been successful at lowering eye pressure. How important is it to be screened? Screening Helps in Early Detection Screening for glaucoma is very important and the best way to detect the early onset of the disease. Our optometrists and ophthalmologists can easily detect the symptoms-even before you experience any change in vision-by conducting a comprehensive and painless eye exam. If anything seems abnormal, your field of vision will be tested for blind spots or problems with peripheral (side) vision you should make an appointment right away. Prevention through early detection is the best way to avoid vision loss from glaucoma. Regular eye examinations are extremely important.